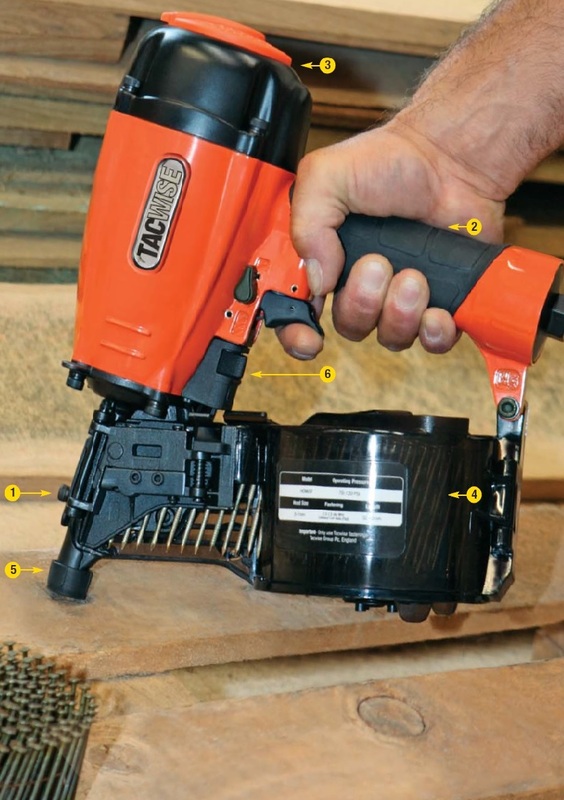 Tough, extremely versatile coil nailer. Highly versatile heavy duty nailer taking 25-57mm round head, wire collated coil nails in a transparent nail drum. Perfect for packaging applications including pallet reconditioning and top-decking pallets in particular. Also very popular for the construction of garden buildings. This coil nailer offers unrivalled performance and the lightweight magnesium alloy body provides exceptional power and complete ease of use. It is especially suited for shed and fence manufacture as its 350 nail high capacity magazine means less reloading is required.